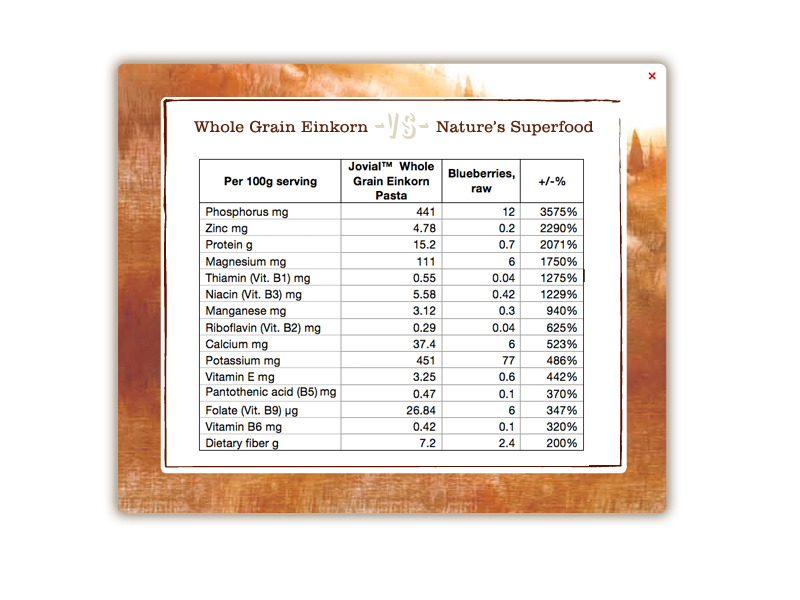 Einkorn Nutrition | Jovial Foods, Inc. Einkorn Nutrition | Jovial Foods, Inc. Ancient grains are inherently more nutritious than modern varieties. 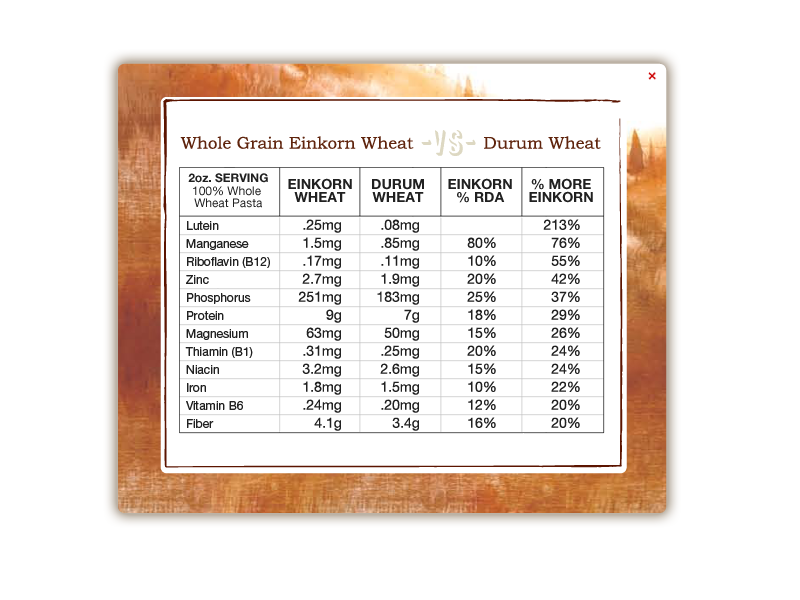 Einkorn is the most ancient wheat and is the result of Mother Nature’s untouchable craftsmanship. Good source of protein, iron, dietary fiber and a number of B Vitamins. 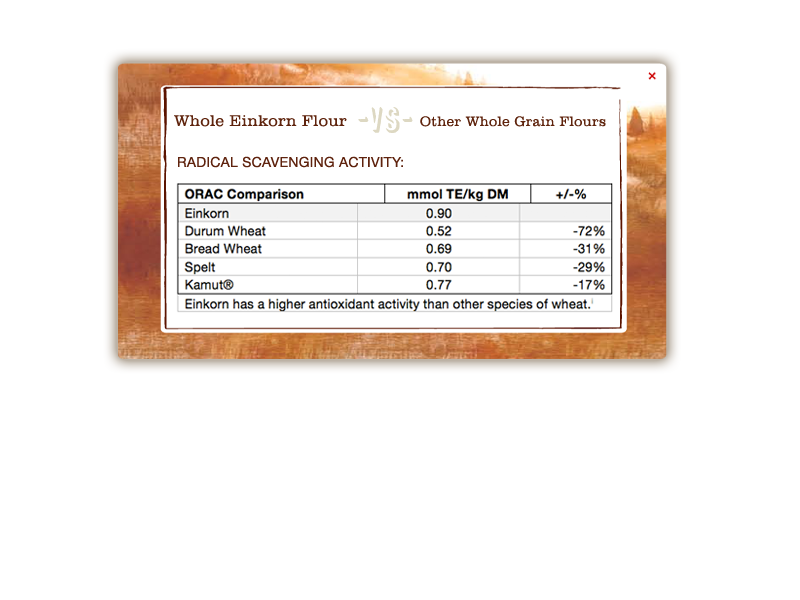 Higher content of proteins, tocols and carotenoids than other species of wheat.